Rinse and dry the apples. Dice with the skin on. Place diced apples in a medium-sized bowl. Add lemon juice and toss to coat. 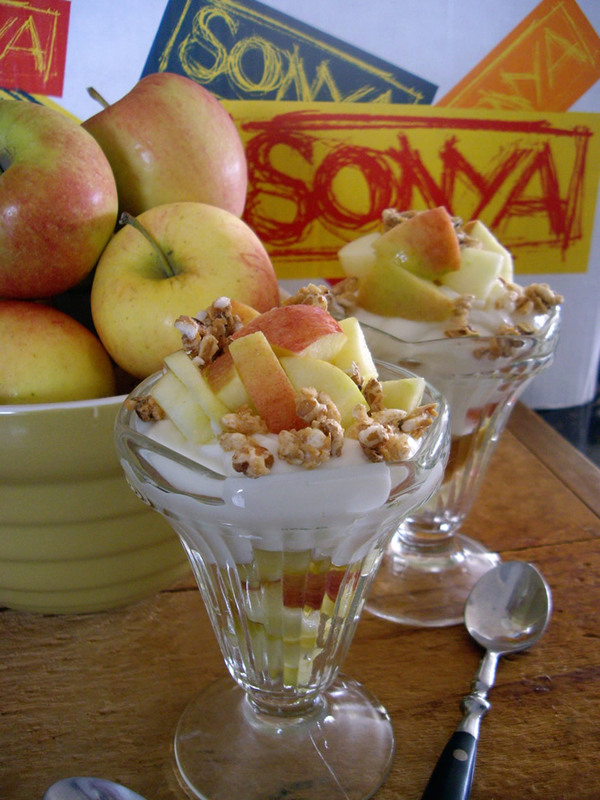 In each parfait glass, add a layer of diced apples followed by one container of yogurt and another layer of apples. Top with cereal.